Home » Industry Issues » Brexit Hub » What happens next? 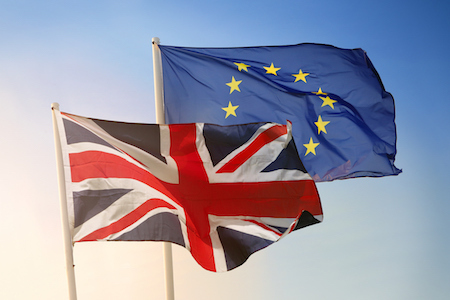 In November 2018 the UK Government and EU leaders endorsed a Withdrawal Agreement and Political Declaration on the future relationship between the UK and EU. Members of Parliament have however now voted against the Withdrawal Agreement three times, most recently on Friday 29 March. In a statement following that vote, the Prime Minister said the UK would have to find “an alternative way forward”, which was “almost certain” to involve holding European elections. Withdrawal Agreement: The UK and EU endorsed a Withdrawal Agreement in November 2018. This document details the legal provisions under the Article 50 process in codifying the UK’s exit from the EU. Political Declaration: Agreement had also been reached on a Political Declaration outlining the framework for a future relationship. This is not a legally binding document and sets outs a path to a future relationship once the UK leaves the EU. UK Parliament: MPs have voted against the Withdrawal Agreement and Political Declaration on three separate occasions. The Prime Minister is undertaking discussions with her Cabinet and MPs to find an alternative way forward. An emergency November Summit took place to endorse the Withdrawal Agreement and Political Declaration at an EU level. The Prime Minister used this Summit as an opportunity to outline the intention to not use the Northern Ireland backstop unless as a last resort. The vote on the draft Withdrawal Agreement took place and was voted down by parliamentarians. MP’s vote down the Government’s Brexit deal for a second time and also agree to delay Brexit by extending Article 50. The Council agreed to give the UK until the 12 April to pass the Withdrawal Agreement, delaying Brexit by two weeks. The vote on the Withdrawal Agreement is voted down by parliamentarians. The House of Commons held further indicative votes, however failed to reach a majority consensus on the UK’s departure from the EU. European Commission held an emergency summit. A decision was made to extend Article 50 until the 31 October 2019.